As you guys know, I think making your own dips and dressings is so important. Not only does it add major flavor to your meals, it also adds a ton of nutrients. 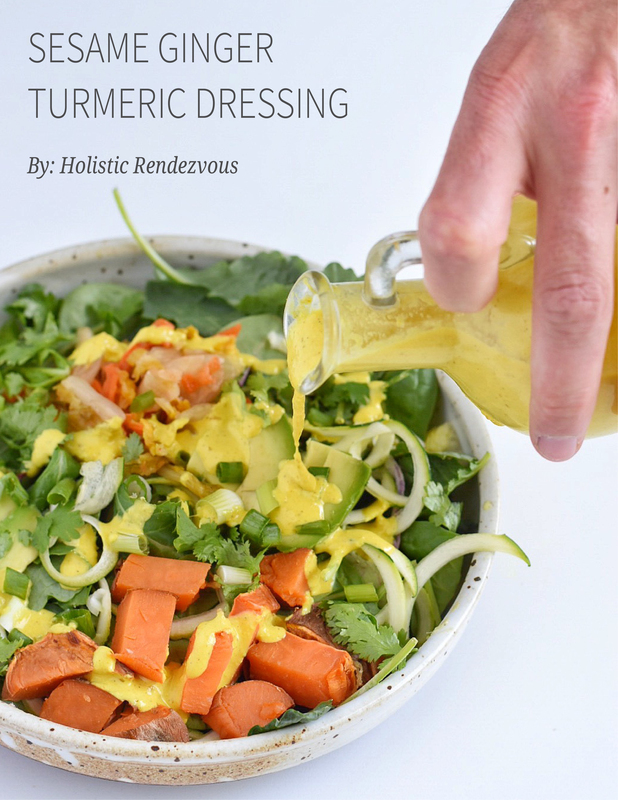 This dressing has the amazing benefits of sesame seeds, lemon, ginger, and turmeric, which are amazing for their anti-inflammatory properties that will have you glowing from the inside out. 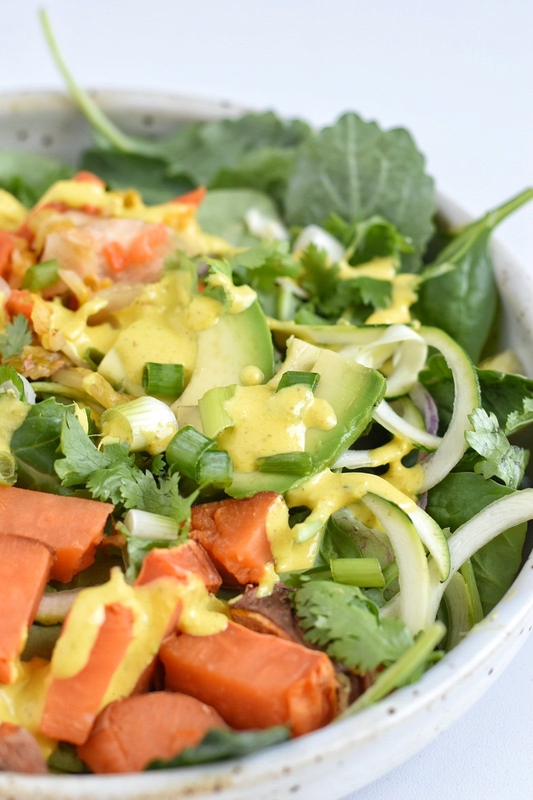 You’ll definitely want to make this Glowing Sesame Ginger Turmeric Dressing apart of your meal prep! This recipe is is super simple and can even be used as a dip to enjoy as a snack with fresh veggies. It’s packed with calcium, copper, iron, zinc, selenium, and as I stated above, anti-inflammatory properties! Plus, it packs some major flavor that will make anyone a salad lover! Tahini (sesame seeds) are tiny seeds with anti-inflammatory components and antioxidants. The high amount of copper in the seeds is responsible for these benefits, but it is also rich in many other nutrients. Read more about sesame seeds here! Most of us know how great ginger is for nausea because it is one of the oldest and most popular medicinal spices. It is also great for promoting digestion, neutralizing toxins, cleansing and detoxifying the skin and body, plus so much more. 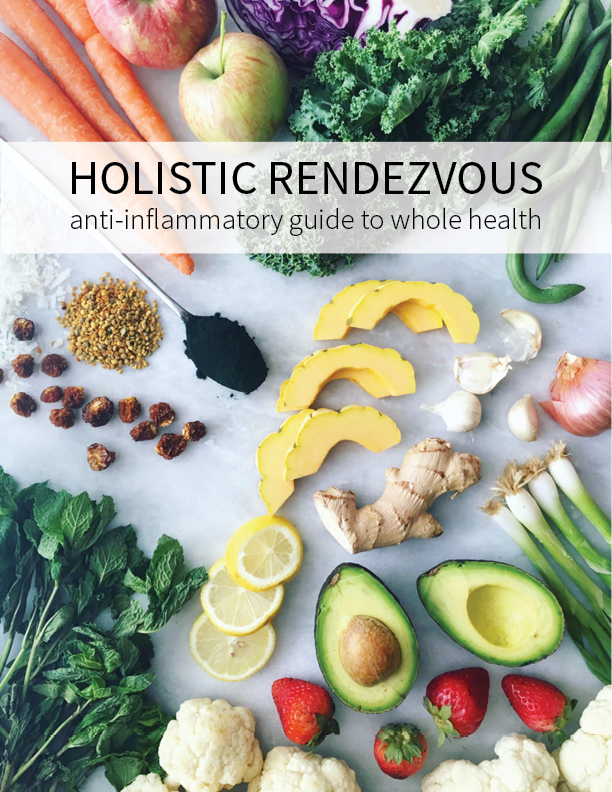 Turmeric has become extremely popular for its anti-inflammatory benefits and for good reason. These properties are mostly from the active component curcumin. It also contains B vitamins, especially B6, and Vitamin C, which are both great for adrenal function and immune health. Lemon is another ingredient I love to praise and use all the time. It’s high in vitamin C, alkalizing, and full of antioxidants! 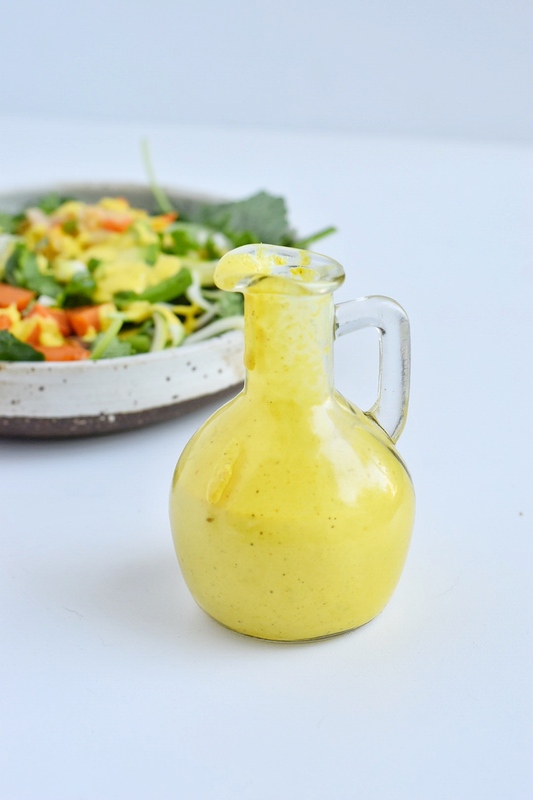 Sesame Ginger Turmeric Dressing is great for all salads, but is definitely reminiscent of the dressing that you get at sushi restaurants with your side salad. One of my favorite ways to enjoy this dressing is by loading it inside of my collard wraps for some big flavor. 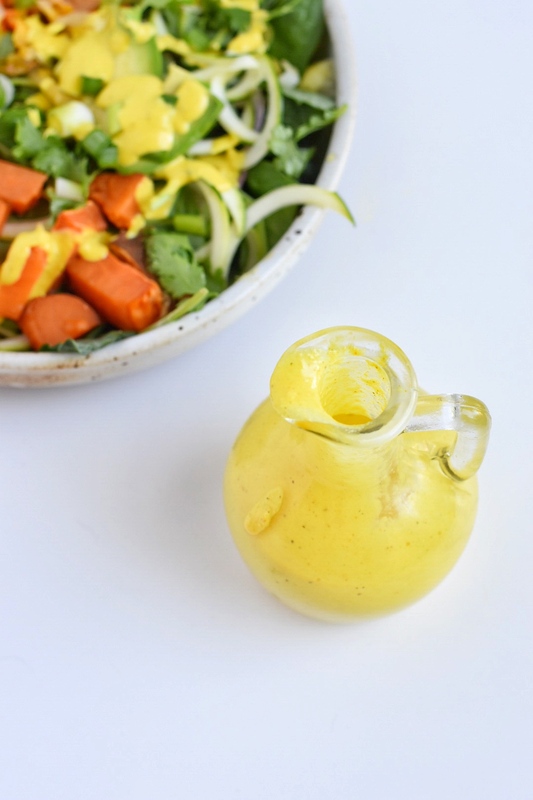 glowing sesame ginger turmeric dressing/dip! Blend up and DIVE IN! 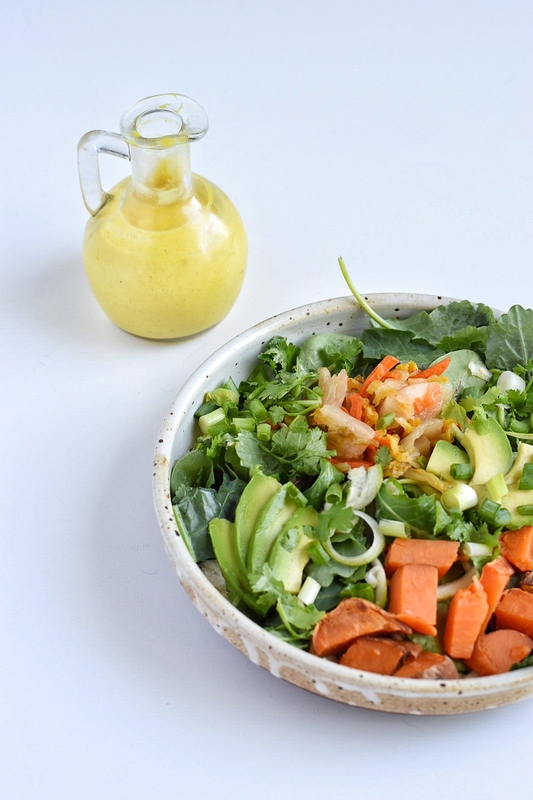 Let me know if you make this Glowing Sesame Ginger Turmeric Dressing! I love seeing your photos and how you enjoyed it!